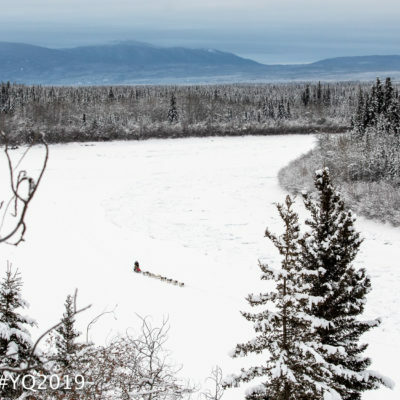 2019 Yukon Quest teams have been charging into Dawson City, starting with Brent Sass, who arrived first with his team at 11:24am PST Tuesday. 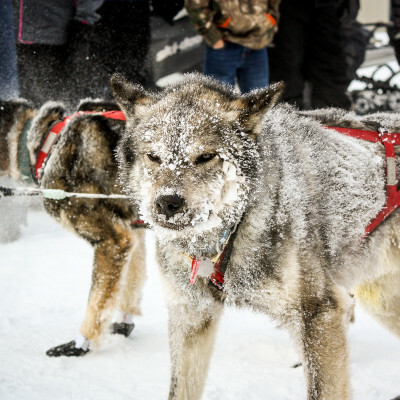 Temperatures around 0° are warmer than usual, and mushers are generally running “at a good pace,” says race marshal Doug Harris. As of 9am Tuesday, unofficial standings show Brent Sass in the lead, just under 20 miles away from Dawson. 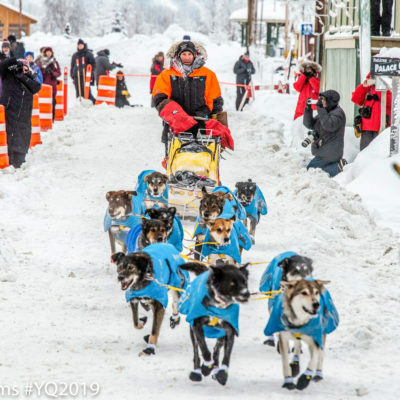 As of 5pm Monday night, former Yukon Quest champion Brent Sass holds the (unofficial) lead, having barreled through the Scroggie Creek dog drop. 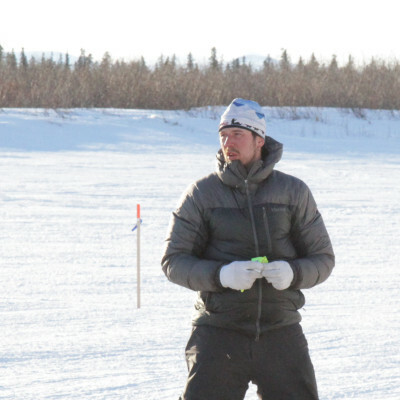 Sass is about 100 miles from Dawson City. 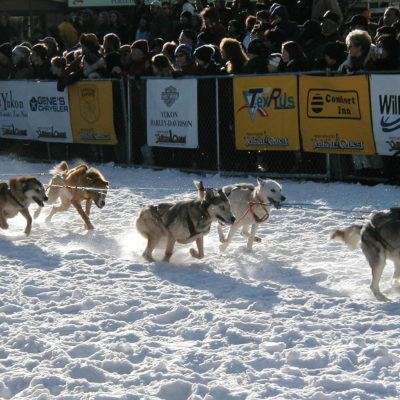 “Teams are traveling at a good speed; there’s not a lot of dropped dogs. 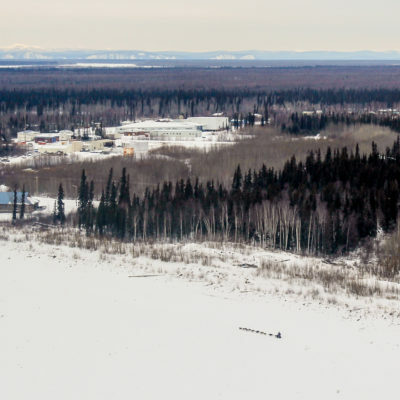 The further north they go towards Dawson, the greater the snow cover’s going to be. So, it’s going to get better,” says Quest race marshal Doug Harris. 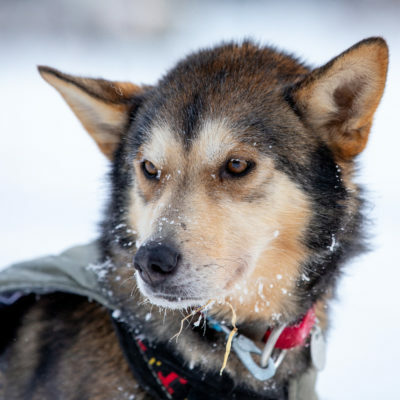 30 mushers will embark on a 1,000-mile sled dog race on Saturday morning, all vying to be the first to reach the finish line in Fairbanks. 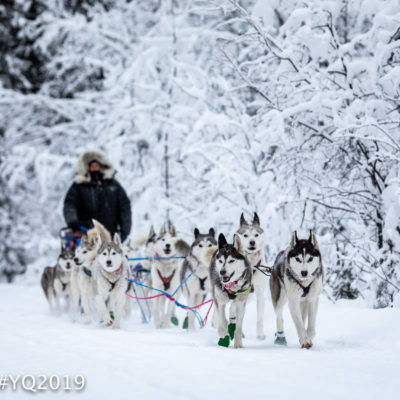 Reports of lack of snow along sections of the traditional Yukon Quest trail have prompted race organizers to make modifications for the 2019 run.